This morning on the beach I noticed an unusual piece of junk. 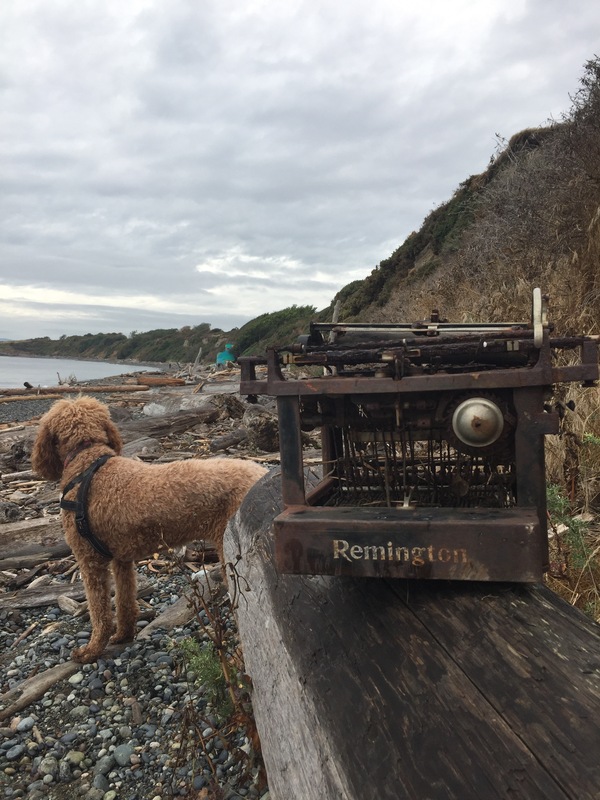 The sea had given back this rusted, antique Remington typewriter. Oh, the curiosities that came to mind! Maybe a writer had tossed it overboard in a moment of frustration. Maybe a storm swept it in from a foreign land. 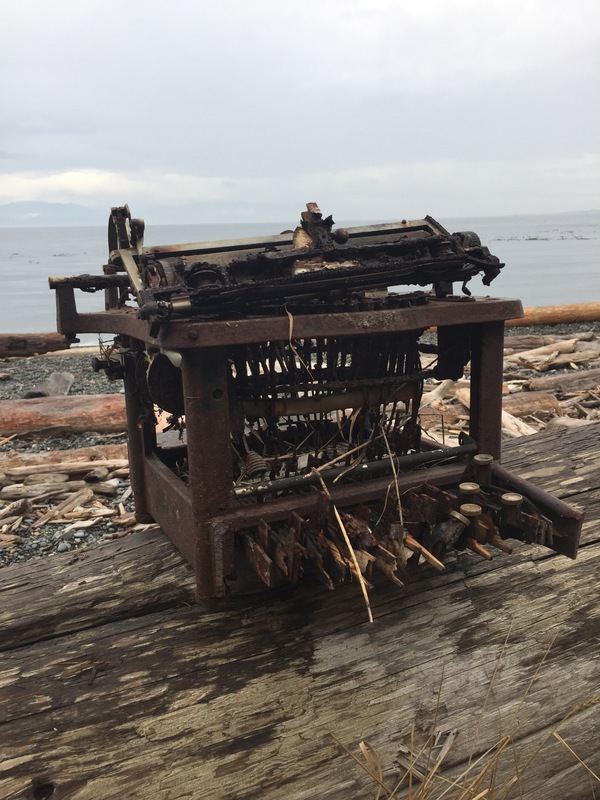 The typewriter was in recognizable but poor condition. 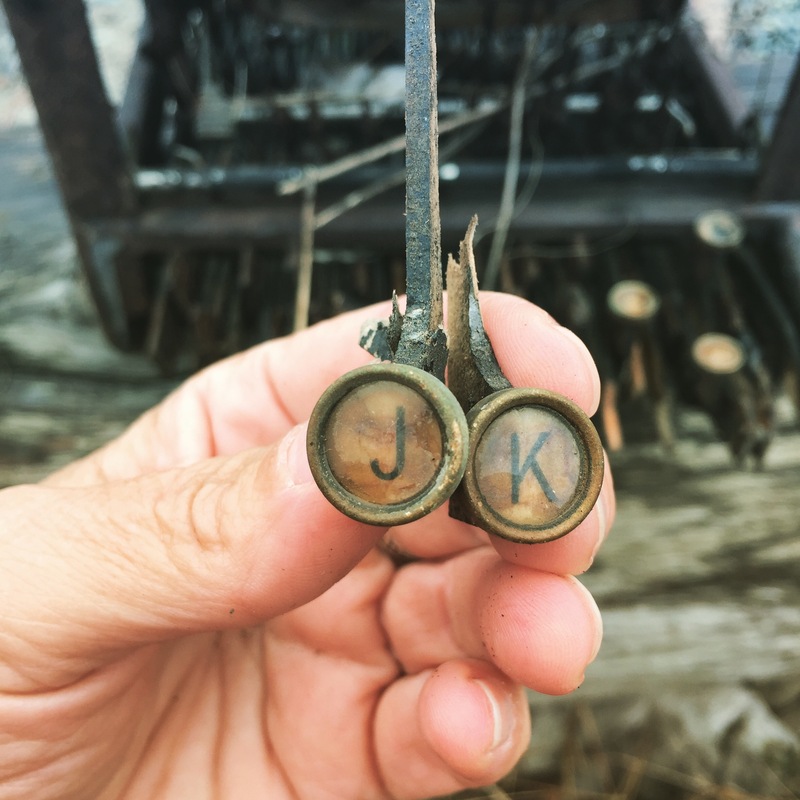 There were only a few keys left, but by some mysterious coincidence, the two initials that held the most significance to me. What are the odds! I plucked them off and put them in my pocket. It seemed to be a message from the universe: keep on writing. Or keep on loving. Or both.